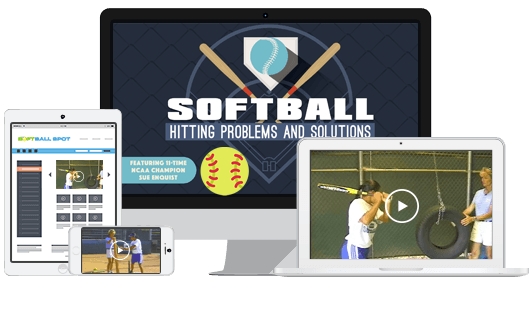 Order Softball Hitting Problems and Solutions online video clinic today and you'll see EXACTLY how to perform all the drills included in the ebook... plus dozens of wickedly effective coaching pointers, troubleshooting tips, and practice routines you can take right to the field! Your instructor is the one and only Sue Enquist - 11-time NCAA Champion and probably the world's #1 authority on softball hitting. In all, you're getting more than 38 minutes of hard-core video content from one of most successful softball coaches in history. In fact, this package has sold on other websites for as much as $40.00.